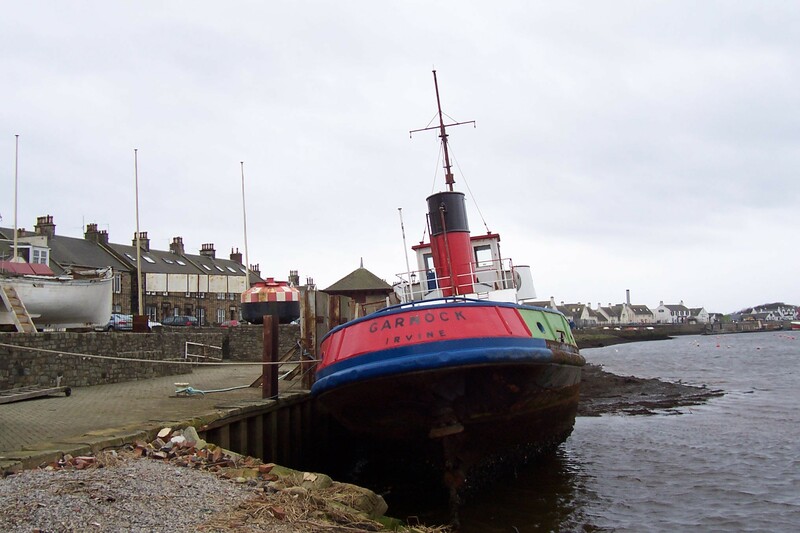 Built in 1956 by George Brown & Co. Ltd, of Greenock, for the Irvine Harbour Company (a subsidiary of ICI), GARNOCK is a harbour tug of steel construction with a hull partially riveted and partly welded. 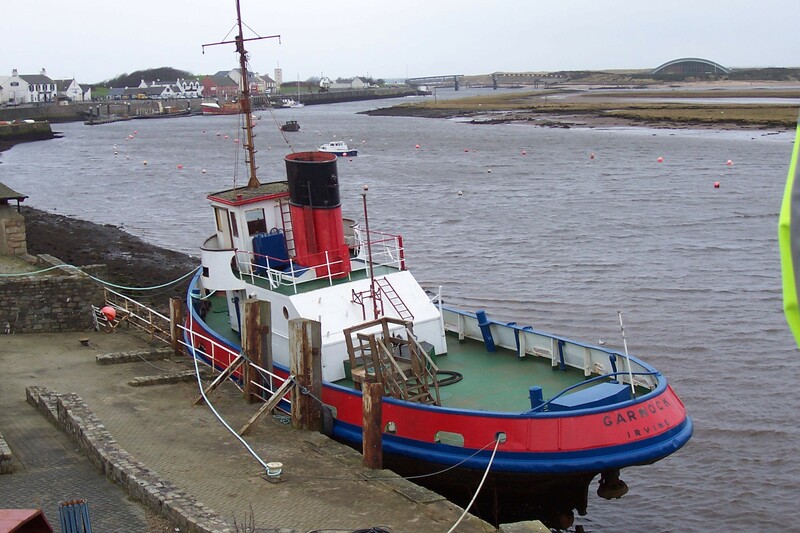 She was regsitered at Irvine for operation on the Clyde estuary, towing ships which loaded and unloaded explosives at the nearby ICI (Nobel Explosives) works. Latterly she was also used to dump explosives in the estuary. 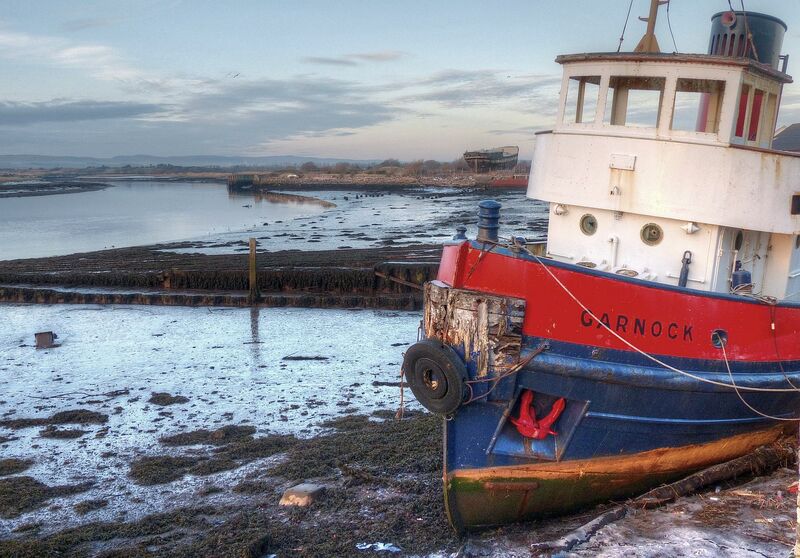 In February 1984, GARNOCK was severely damaged by an explosion while dumping explosives west of Ardrossan. Repairing the damage to her aft end and propeller was not an economic proposition, and after essential work, she was donated to the Scottish Maritime Museum. Source: Paul Brown, Historic Ships The Survivors (Amberley, 2010), updated Feb 2011.